There are lots of comics on the internet, but how many of those are about the internet? At tomorrow night’s New York Comics & Picture-Story Symposium event, Matthew Thurber will discuss his comic Infomaniacs, originally serialized online and since published by Picturebox. With an internet-addicted protagonist, the comic developed into a thriller confronting issues of privacy and ownership online. Later this week I’m going to an event for librarians about Google Glasses, which I am skeptical of, but have yet to see in person, so why not. However, I was reminded of Vision Machine, the creator-owned comic by Greg Pak and RB Silva, which is freely available online under a Creative Commons license. Released in 2010, the three issue series imagines a sneakily dystopian future where everyone has a set of iEyes, networked video camera glasses created by Sprout Technologies. It’s only a matter of time until users regret never reading the terms of agreement when they’re bombarded with ads and lose access to the content they generated to Sprout. Worth reading now that Google Glasses are an actual thing, and a good companion piece to Infomaniacs. 24 Hour Comics Day this Saturday! How could I forget! Not too late to sign up on your own or find a local host! 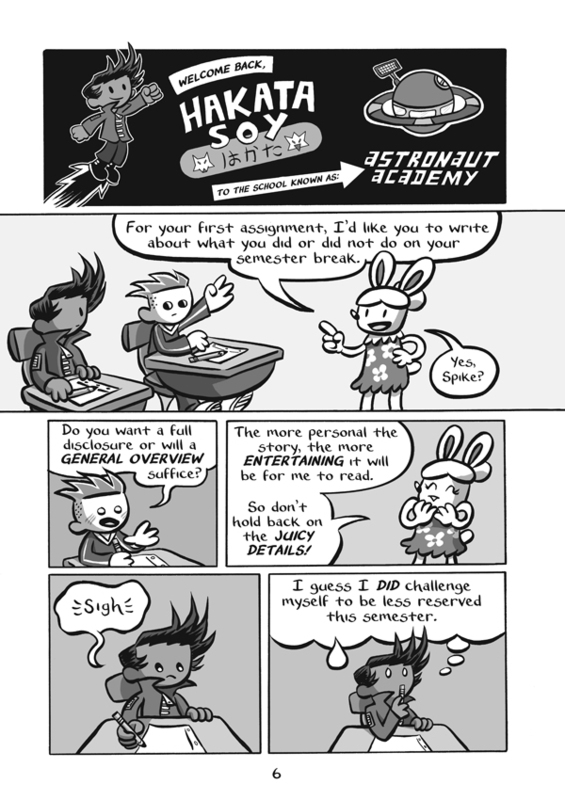 As always, good to read up on the history of the event from Scott McCloud himself, including the original six versions and a bunch more others in full via McCloud’s own (since abandoned) index of 24HCD submissions. This short comic from Sam Alden of Portland, OR, will be published next year by Uncivilized Books, paired with a new flip book style story (source). Despite the rough pencils, it’s pretty masterful, with some impressive shadow play… I had actually blogged about Alden before, but did not recognize this style at all, very different. There are other full samples of his work, in both rough pencil & more fleshed out black & white. Household, another flip book story, is very dark, so those shadows come in to play in great form once again. Someone get this lady a booth at the American Library Association Conference! Here’s her list of books and where to buy them! Marz talks chiefly about a storytelling concept that he conceived of years ago and was finally able to put to use on an unrelated project, namely a minute of story time per page on Top Cow‘s speedster character, Velocity. The nice thing is that after reading Marz‘s post, you can read the full issue in question, with art by the very distinctive Kenneth Rocafort, for free on CBR! Good synergy, guys! I thought it was an interesting post, and though I haven’t been taking on any artistic projects lately, I think that initial paralysis when deciding which project to embark upon is related… I, and many beginners, I think, worry so much about starting off with the right project, that we ultimately wind up with no project! So hopefully this summer I’ll finally get started on something, anything!